8+ Best Cryptocurrency Mining Software - Cryptolinks - The World's Best Cryptocurrency Sites List! One important thing cryptocurrency users do aside buying and selling (trading) of coins is mining. Mining is one of the fastest ways of earning cool cash either as digital or fiat money. Cryptocurrency mining is a productive way of earning whereby different forms of cryptocurrency transactions are verified and added to a blockchain digital ledger. It is an aggregate of transactions done with cryptocurrency in order to gain profit. Not all cryptocurrencies will bring you the profit you hope for but there are some whose profits are undeniably high. The most common type of crypto coin used for mining is Bitcoin, others are Altcoins such as Dogecoin, Feathercoin, Ether, etc. 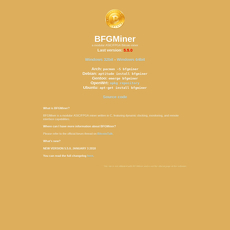 However, there is something that links all these coins together, it a mining software. 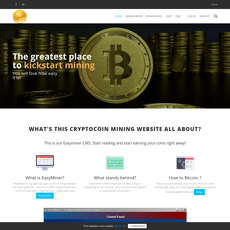 A Crypto Mining Software is responsible for different operations to ensure you gain profits. It is built on a technology different from blockchain. The mining software have different features and the better the software, the easier the mining. For every mining software, there are mining pools present for different types of coin (Bitcoin and Altcoins). Each of these mining pools show information on the number of miners active and the minimum payout possible. 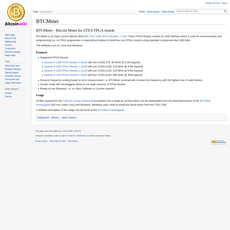 In this category, the various mining software listed above have different things they possess. 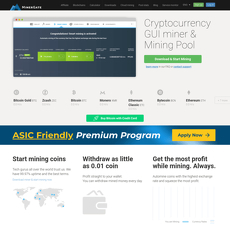 Some of them like Minergate offers premium mining programs for professional miners and cloud mining solutions for coins like Bitcoin, Monero, etc. All you have to do to get the different mining software is to download on either Google Play Store or App Store and start earning. They even have applications to support the kind of services they provide. Also, all mining software have different devices they support; some could support android while others apple (Mac OS). All earnings are recorded as khash/s. They are also either has GPU, CPU or both i.e. 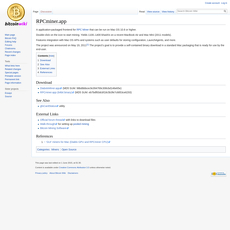 GPU and CPU mining software for windows. A software is meant to operate on specific devices and not all devices. The quality of your mobile device or desktop determines whether the software will operate at top performance on them. If you an android user, you need to download a software which is android-supported and not the other way around; also, if you are an apple user, you can download a mining software that supports Mac OS 10.6 or higher. Supported devices are very important in selection process. 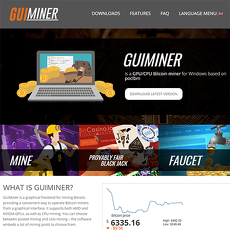 However, the best android mining software is MinerGate while for MacBook Air or Mac Mini is RPCMIner and the best for windows is GUIMiner. They all have different features and mechanism of operation. A crypto mining software must be able to display your hash rates and other statistics like total shares in real-time. This is important so you could keep track of your yields and losses. It is also a form of transparency mode where you can build a level of trust with the software. 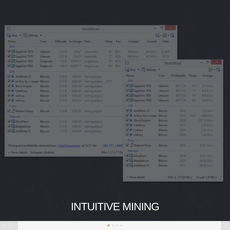 A known mining software with great statistics display and transparency is EasyMiner. Being open-source means it is built on a Public API that gives access to the public without restrictions. It also must be free and easy to use. You wouldn’t want to pay a penny for using a mining software that will generate more yield for you after downloading. Good mining software are open-source and you can get codes for you to customize on the basis of your needs. Several mining software in this category are also more concerned with giving back to the crypto community via donations. If you feel you want to help or support crypto projects with your digital currencies, there are web addresses for wallets of different cryptocurrencies on the site for you make your donations to. These donations can be verified with the aid of an email so you don’t fall into scams or fraud and you have an automatic usage of these funded project. Mining software must have the ability to extend i.e. improve to a new version better than the older or previous one. An improved mining software must contain new features and be mobile-friendly. The applications for this mining software can be updated either from Google Play Store or App Store or any other form (GPU/CPU) where you change from one version to another. The different types of mining software have been explained in this category, all you need to do is select which suits your needs or device. All of them have been reviewed with their pros and cons explaining what they are useful for and some of their demerits. In conclusion, the better the mining software, the easier it is to yield more profits that will be displayed in hash rates on statistics.